Dear Diva, we just installed a beautiful new skylight and I love the amount of natural light it brings in, but during the day it gets way too hot in the room, what types of skylight window blinds are available? Tamari, way to go on bringing more natural light into your home! The skylight addition will add more value to your home and could potentially save you on lighting costs. As you’ve also already found out, having a skylight can make the temperature in the room significantly increase. This is why I think it should be mandatory for window salespeople to inform customers of their window treatment options before finishing the sale. This is obviously just my opinion however, and probably won’t ever happen! But that’s okay, because that’s what I’m here for! That said, you’ve got two choices when it comes to skylight window blinds: cellular shades or 1″ aluminum mini blinds. Each will allow you to have control over the amount of light being let in, which in turn will help keep the temperature down. 1) Cellular Shades – Let’s start with cellular shades first. Most operate on some sort of track, so that the blind stays secure and straight in the window frame. When it comes to control options, you can either order a standard shade and purchase an additional skylight pole to open and close the shade, or there are remote control options. Which one you order depends on your budget, preference and where the skylight is positioned. 2) Skylight Shade Poles – The poles you can order to operate skylight shades come in either 6 ft or 9 ft long and usually cost $30 or less. They basically just have a hook on the end that connects to a little plastic ledge on the bottom rail of the shade. You then manually use the pole to raise or lower the shade. While the remote option raises and lowers with the touch of a button, but will be much more expensive. The remote option is usually your best bet if the shade cannot be reached with a skylight pole. 3) Shade Style – In addition to choosing the control type, you can also choose your cell size, style of fabric and how much light/heat you want to block. If you are looking to control the maximum amount of heat, look to cellular shades with more than one cell or a larger size single cell because it traps more air. A double cell shade is a better insulator than single cell and may help you reduce the unwanted heat. You can also choose a fabric type that blocks more light coming in. This will reduce the amount of heat and will also block most of the incoming light. This option is more popular in bedrooms, because of how much light it blocks. 4) Blocking Light – If you want to block the heat but not the light, this is also possible. This would be done with a double cell in a lighter colored fabric. Or you could choose Levolor Cellular shades and get the Energy Shield option. This options, eliminates air flowing through the shade. So in a skylight window, it would keep most of the heat coming through the window from passing into the room, which would then keep your room cooler. 5) Aluminum Mini Blinds For Control – Cellular shades have a lot more options than my next suggestion. However, if you want more control over how much light is let in at any one time consider 1″ aluminum mini blinds. Unlike cellular blinds which only go up or down, you will be able to tilt the shades opened or closed. 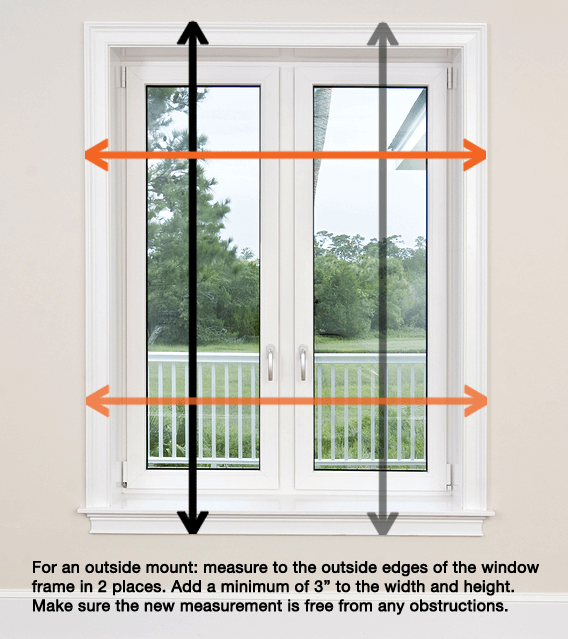 One thing to keep in mind about aluminum mini blinds is that you won’t be able to raise or lower them. This is because the headrail and the bottom rail of the blind are fixed, which is how the blind stays flush with the window and doesn’t bell out towards the room. Aluminum blinds are available with two control types, either a ring tilt or a remote control option. As with cellular shades, you control the ring tilt with a skylight pole. Or depending on preference and budget, you can add the remote control option. Regardless of which options you choose, aluminum blinds are available in a wide range of colors and are also only available by special or custom order. 6) Understanding Blind Custom Orders – No matter which style of skylight window blinds you select, make sure to order them soon. The reason being is that if they’re special or custom order, they’ll take anywhere between two and eight weeks to come in. And even more time should be allowed if you are having them professionally measured and installed or have a specialty shape. In the meantime, you can purchase inexpensive temporary paper shades to put up to help reduce your heat. To reduce the most amount of heat, choose a temporary shade that is blackout or privacy rated. Typically speaking these shades will run under $10 and should help the room become livable again. Just standard window temporary shades will work, you don’t need anything special. To save yourself some time when the permanent shades come in, apply them straight to the window frame with easy release masking tape. That way, when you are ready to take them down, you won’t have any extra work, trying to get difficult adhesive off. This is also the same reason I am not recommending tacking a towel or sheet up in the window sill. If you spend a few extra dollars on the temp shade, you won’t have to fill in any nail holes later. Sometimes thinking ahead, will make your job easier in the long run!